Ho Chi Minh city is the busiest & biggest city. It is divided into 2 parts: Saigon center &China town. Both sides have their own charming. By a tourist, you certainly wish to visit as many as better. But limit time put you in chosen, we are pleased to offer many option to discover the city by your own way. One of following itineraries is chosen for half day discover. Saigon center: this area are filled with French colony architecture: City Hall, Central Post office, Catheral Notre Dame, Opera House. For Museum, War Remnants one is the worthest place to visit. Besides, Jade Emperor Pagoda shouldn’t be given away. Shopping in Ben Thanh market introducing many specilities of Vietnam to you. 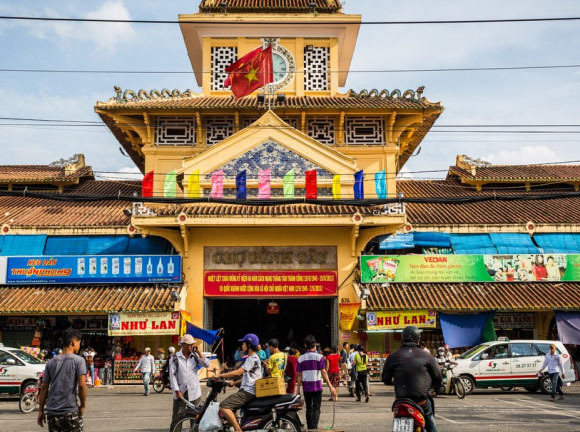 China town is well known as Cho Lon, a part of Ho Chi Minh city, a residence area for Chinese Vietnamese who settled in Ho Chi Minh city since 18th century. Here you can find out all of goods, product made in Vietnam or China from a ceramic product to copies of electric households. Chinese people still maintain their custom, tradition and develop it becoming an art into their daily life. Go along China to visit flower market, BinhTay market, ThienHau pagoda. Finish tour in a famous church named Cha Tam.